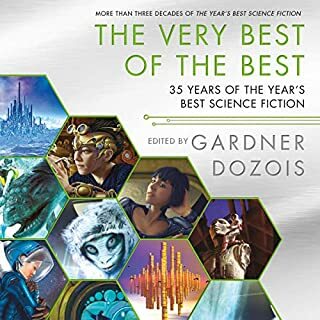 Following the success of their Locus Award – winning anthology The New Space Opera, editors Gardner Dozois and Jonathan Strahan up the ante with The New Space Opera 2, in which more of the most beloved names in science fiction spin stunning tales of interstellar adventure and wonder. Solid stories, some sketchy performances. The world is rapidly changing. We surf future-shock every day, as the progress of technology races ever on. Increasingly we are asking: how do we change to live in the world to come? 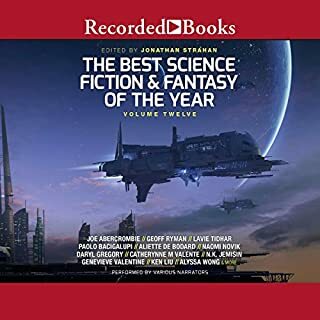 Multi-award-winning editor Jonathan Strahan brings us another incredible volume in his much praised science-fiction anthology series. 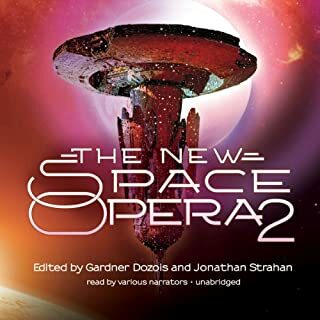 ©2008 Gardner Dozois and Jonathan Strahan (P)2013 Blackstone Audio, Inc.
What did you love best about The New Space Opera? 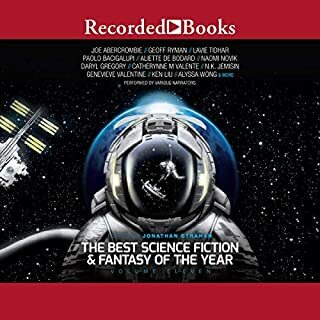 There was not a single performance on this audio book that wasn't really good. Every reader improved the story with their performance. 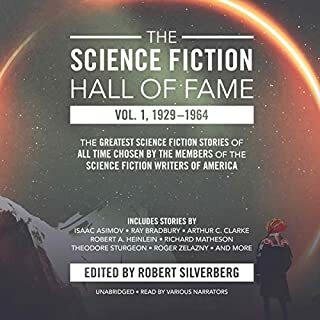 None of these readers was Jim Dale, with his myriad voices, but the male readers gave female characters believable voices, and the female readers did the same for the male. None of them detracted from the story. Not really. But almost none of the stories made me anxious for an ending. They weren't all great stories, but none of them would be a flop, either. 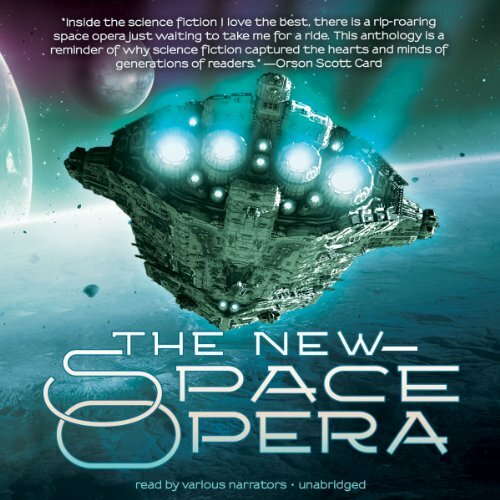 Buyers of this audio book definitely get their money's worth, almost 18 hours of entertainment! This is a series of short stories. The editors appear to have confused clever story telling with "interesting" story telling. I can appreciate the high level of literary skill displayed by the authors, but I just don't enjoy stories that focus on style over content. The well-crafted stories were hard to follow, and consequently, hard to enjoy. Excellent book. Narrator s were good. 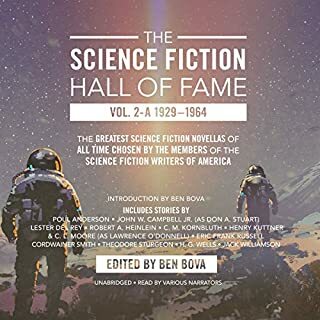 Would recommend this book if you enjoy science fiction. Space soap opera with fiery snatches here and there. Supprizing little packages scattered through. Hints of classic early tailes.